Although there’s been plenty of good new music released in the past year or so, some of us still love the old stuff too. When the world moved from records to CDs in the 1980s, quite a few excellent albums were left behind. Consequently, the “invisible ear” of music appreciation has moved in to fill the void for the vinyl-challenged among us. Planet Xtabay serves up some of the finest Exotica available anywhere. 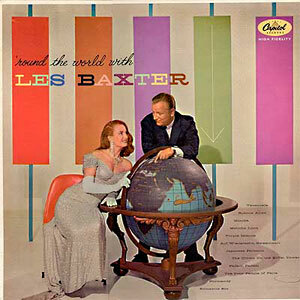 If you’re searching for out of print Les Baxter records, bongo music compilations, or even just exploring Exotica in general, Planet Xtabay is worth a look. Don’t miss their links to other vinyl sharity sites! Chris Goes Rock is run by a Swede with an insanely deep collection of late 60′s – early 70′s acid rock. One stop shopping for pre-Motorhead Lemmy, Electric Prunes bootlegs, and obscure Atomic Rooster albums. Mexicovers proprietor Sr. Mexican’t serves up some special south of the border vinyl, and he’s also got a wonderful collection of Mexican album covers. 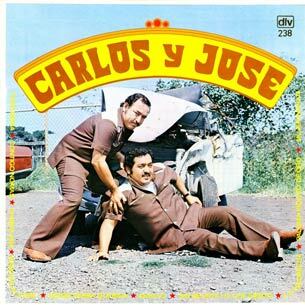 And if you practice an “English First” policy when browsing bad cover art, Zonicweb’s Museum of Bad Album Covers should provide plenty of amusement in a less cross-cultural setting. By now you’ve probably killed enough time looking at covers to get another free download from rapidshare! More excellent collections can be found at Soundsational, Rato Records, and PCL LinkDump. If you know of others that rock, swing, or otherwise are worth a look, please post them in the comments!